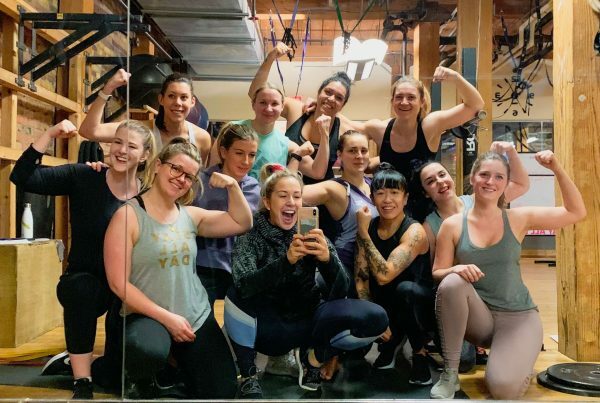 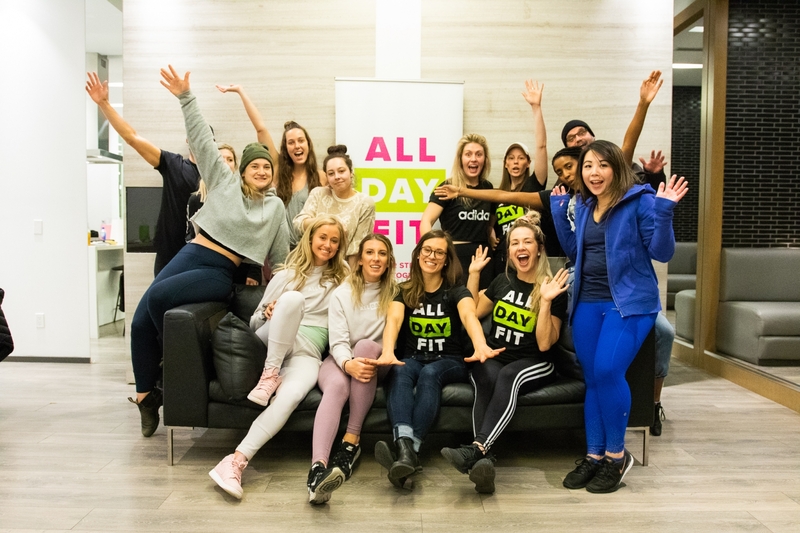 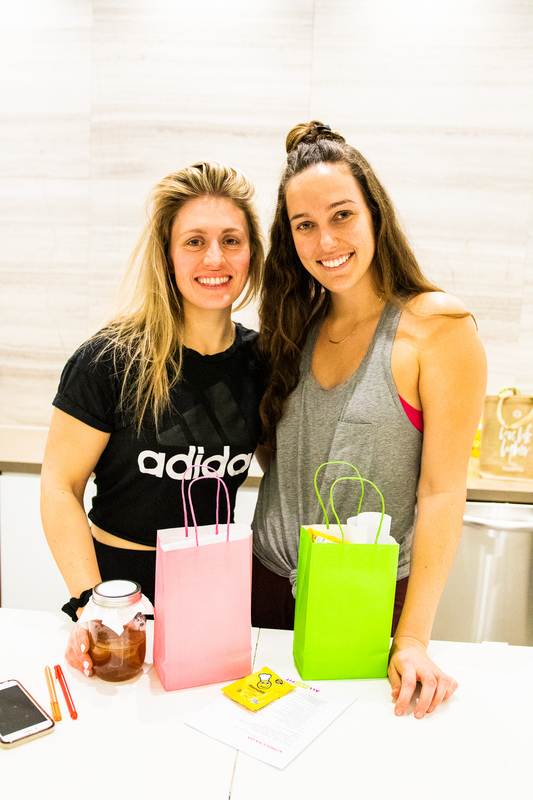 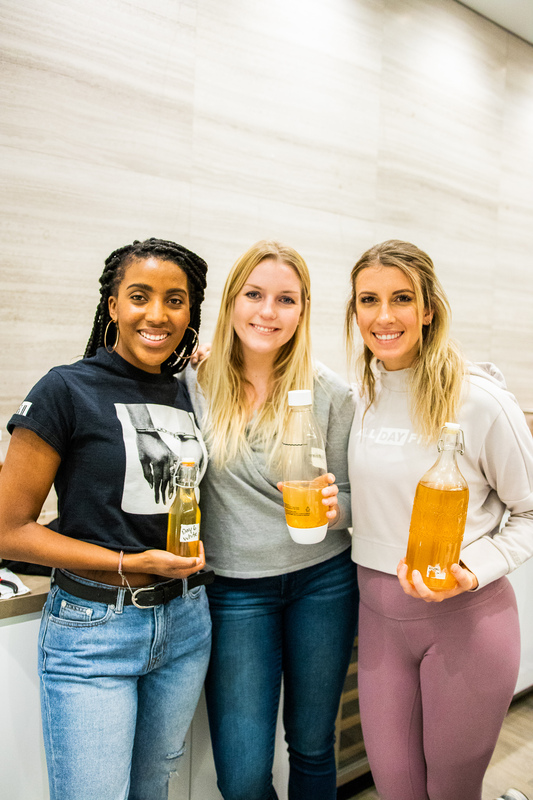 As part of the All Day Fit Nutrition November challenge one of our resident nutritionists, Catherine, hosted a highly sought after DIY Kombucha Workshop! 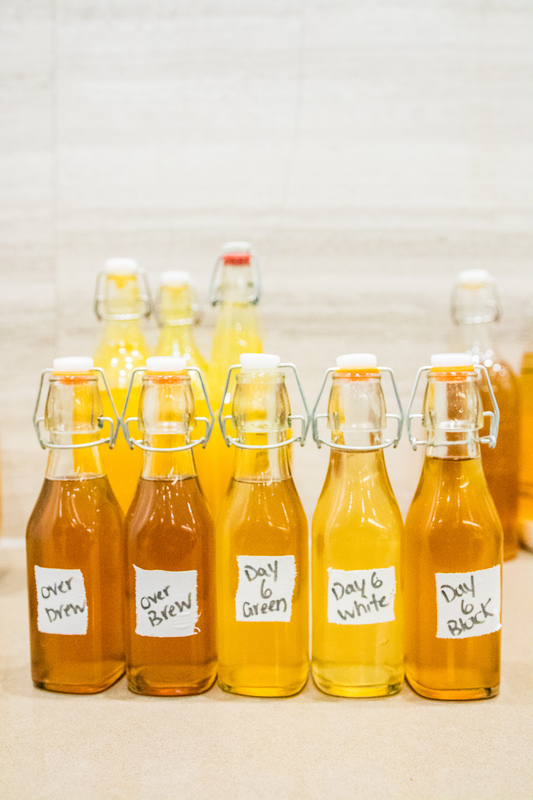 For those of you who are to lazy to try kombucha, or think it is scary…you haven’t had Catherine’s homebrewed kombucha! 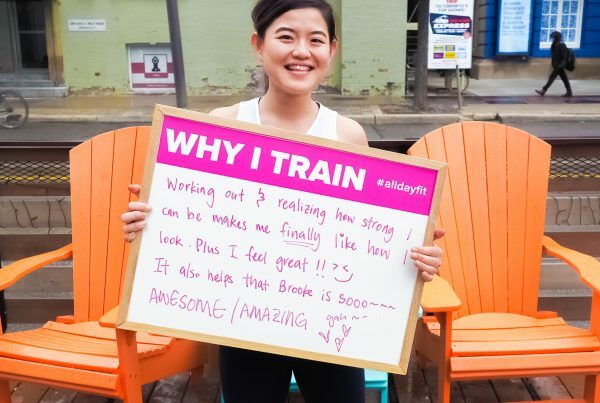 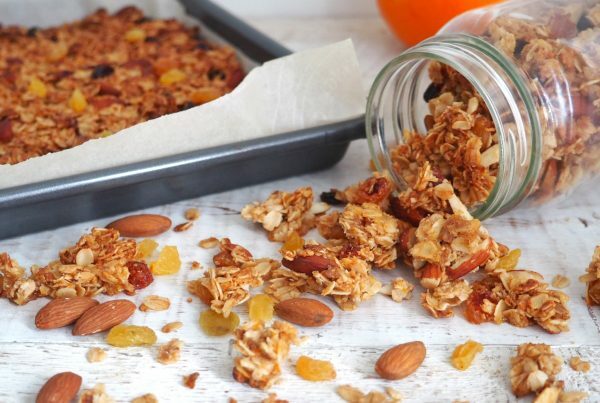 As much as we would like to keep this our little secret (that’s how good it is) – we decided to share the love and let you in on how she does it. 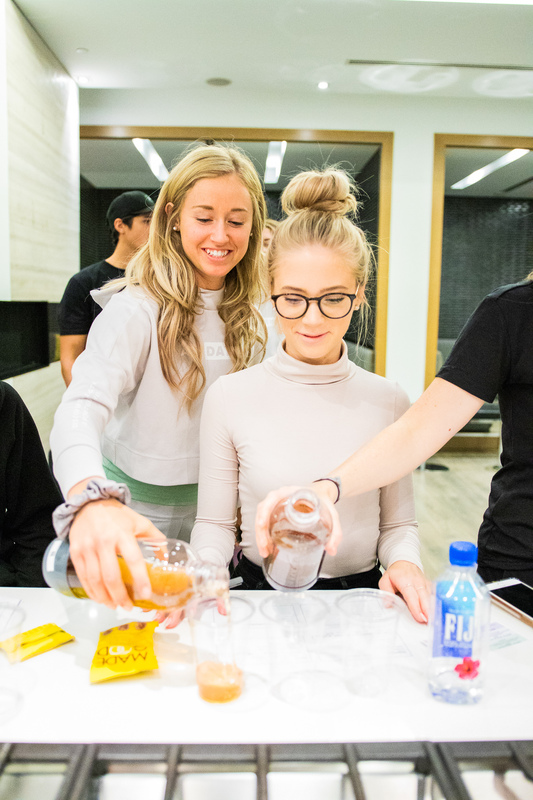 Starting with a little history, we learned all about how kombucha came to be and its path to fame in the modern day health world. 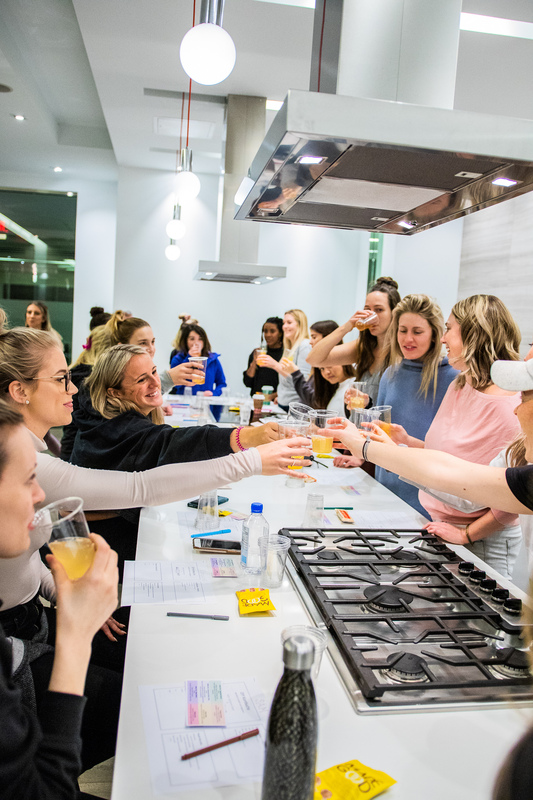 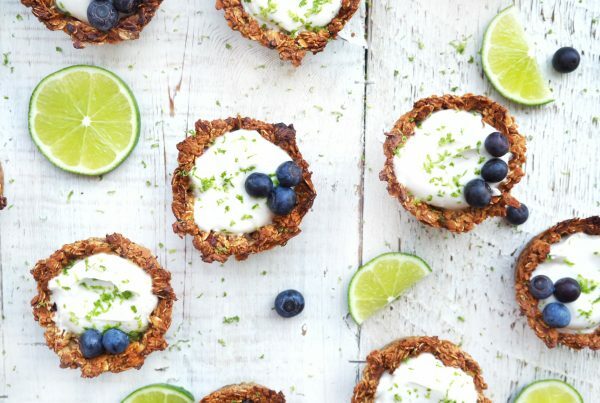 This lead us into the conversation of all the health benefits to drinking kombucha, of which there are many! 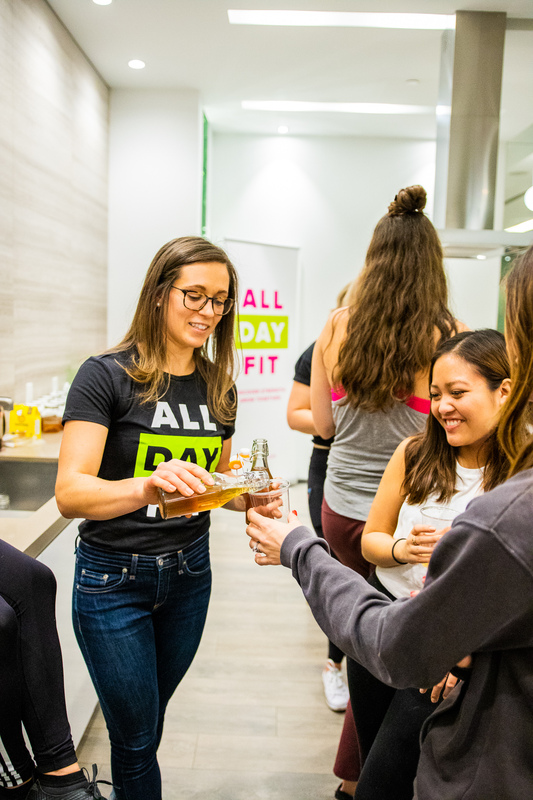 Finally after much anticipation we sampled some of Catherines delicious brews – holiday spice (a personal fav), orange turmeric and apple ginger – see the bottom of this post for the recipes. 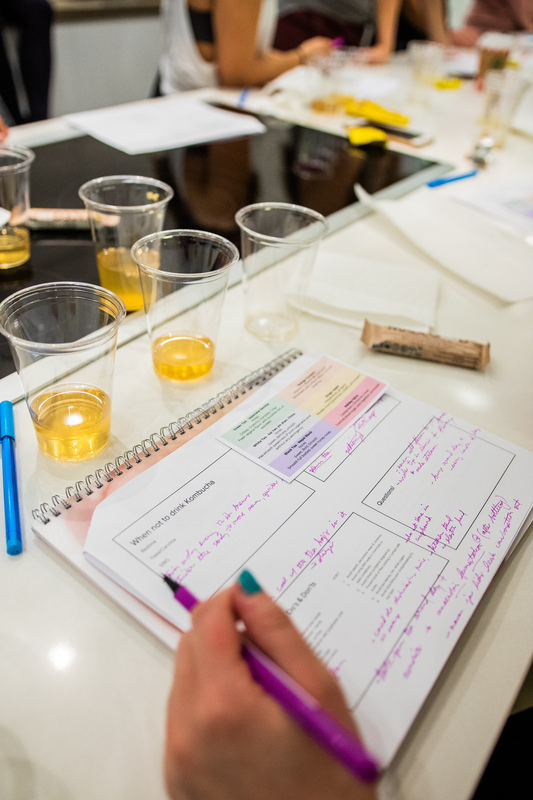 We also tasted kombucha that had been fermented for different amounts of time – helping to understand exactly what our individual taste buds preferred. 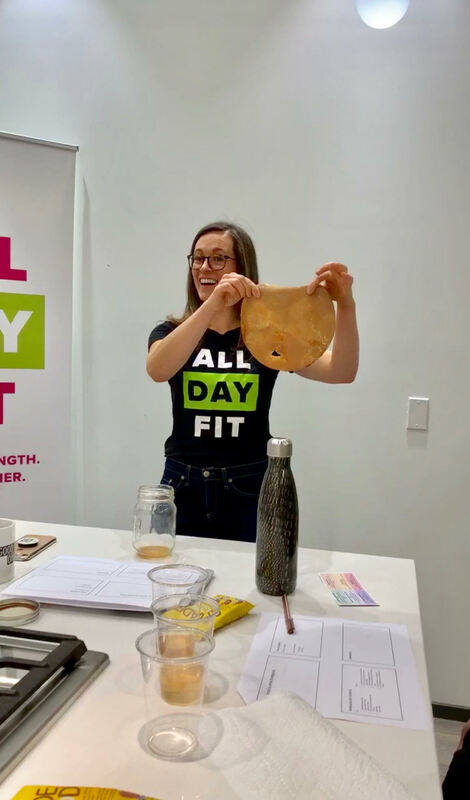 Everyone left the workshop with their own DIY Kombucha Kit – complete with the essentials to get us started, brewing instructions and a SCOBY directly from Catherine’s brewing set-up! 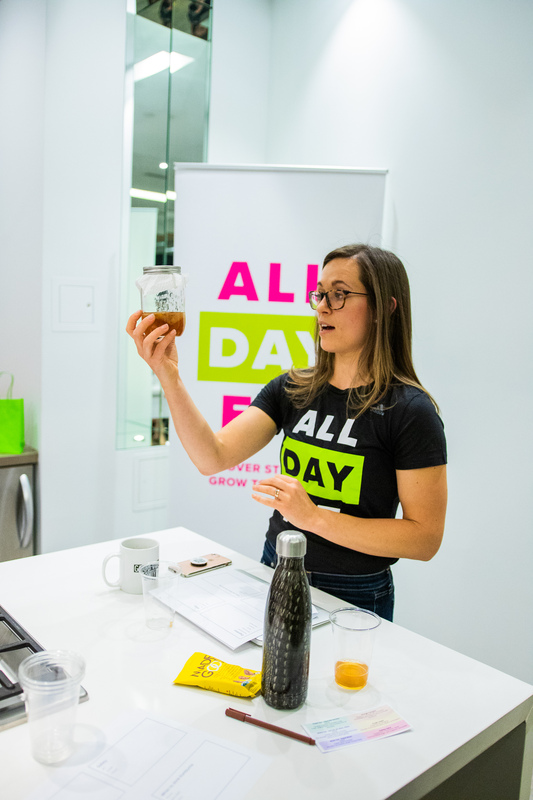 Thanks to everyone that came out and Catherine teaching us about kombucha and how to brew it! 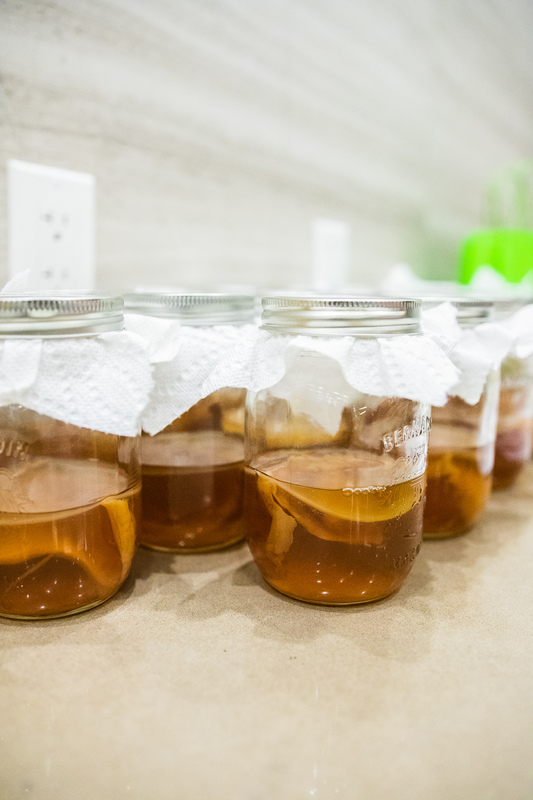 We can’t wait to check in with everyone in the next 2 weeks to see how their kombucha is doing.